Learn how to tackle common forms of interference associated with endotoxin detection assays, and get the latest update on LER. Do you have a product that interferes with your endotoxin detection assay? Have you experienced Low Endotoxin Recovery when trying to perform hold-time studies? 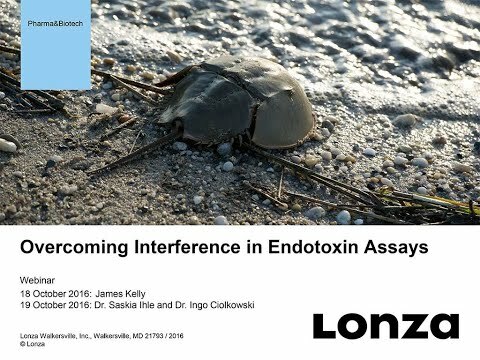 Did you know that interference is actually quite common with endotoxin detection assays? Watch the archived webinar to learn different techniques to overcome interference in your endotoxin testing.